Riddim Shack brings together different styles of club and sound system music from Africa, the Caribbean and elsewhere. It's a party mix, starting at about 110 bpm and finishing off at almost 160, and it's done on Ableton Live. Some of the tunes are recent hits (such as Sarkodie's You Go Kill Me and the Stylo G relick of D'Banj's Oliver Twist), while others came out a few years ago now. 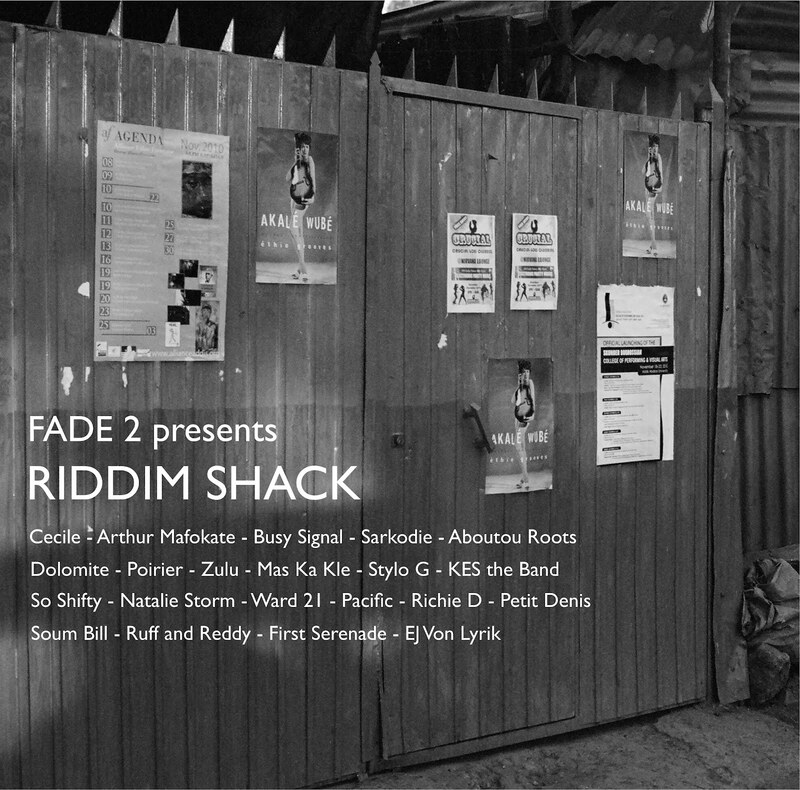 It blends a bunch of different rhythms: Zouglou (originating from Abidjan in Côte d'Ivoire), Azonto (from Ghana), Bouyon (roughly speaking, Dominica's take on soca) alongside productions from London and Kingston JA, and of course Montreal's Poirier, whose digital carnival is represented here by tunes with Cape Town's EJ Von Lyrik and Panama's MC Zulu. At some point I might try to develop this into a longer write-up. That's not going to happen right now, so in the meantime curious readers can take a look at this interview with Sarkodie from a couple of months back and (for francophones) a long article by Yacouba Konaté from Cahiers d'études africaines on Zouglou. Thanks to those who were instrumental in helping me pick up some of this stuff: Gabriel Heatwave, Leo Zhao, Hugo Mendez, Franklyn Lockhart. Big up.